Building on the success of the cost effective, dual colour, backlit Omega D4 LCD display which has proven globally successful across multiple series, Cosworth is excited to add to its product portfolio the new Intelligent Colour Display (ICD), a brand new high performance, configurable, full colour 6.2″ TFT display integrating a fully featured Omega data logger and control platform with a powerful dual-core microprocessor and integrated graphics processor. 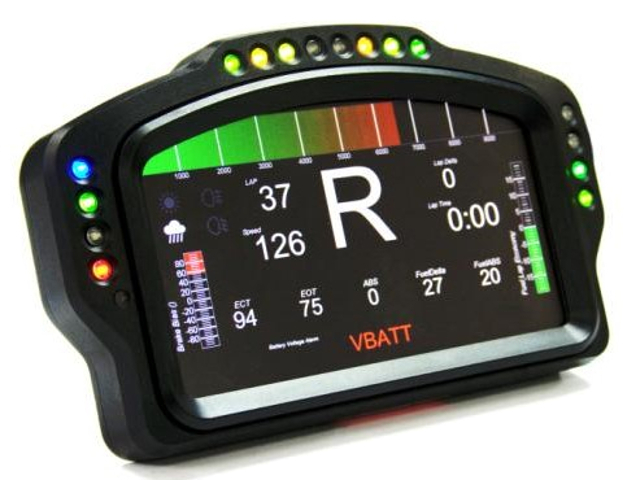 Built on Cosworth’s flagship Sigma Operating System and integrating a dedicated graphics processor and the latest Omega architecture, this is a powerful full-colour display, logger and control solution all in one enabling users in all series to benefit from usable, advanced logging and control capabilities. 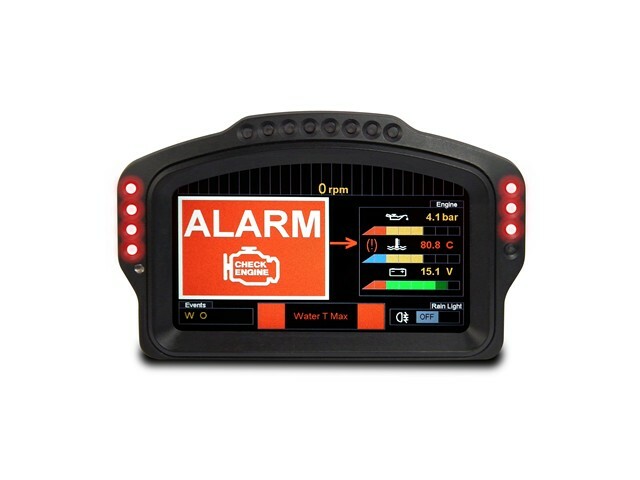 The ICD features super bright, configurable tri-colour LED arrays – multi-purpose and fully configurable for use as alarms, shift lights, driver aids etc. together with an in-built LDR for auto LED and screen brightness control. The 5 port Ethernet hub provides for improved on car systems connectivity – devices can be daisy chained and connected to with a single on-car connection point – further simplifying looms. 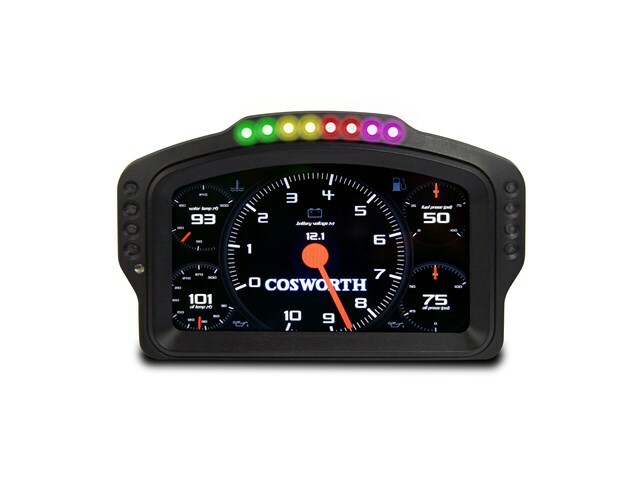 Cosworth’s proven driver aid ‘QMode’ (Qualifying Mode) is available in multiple forms. An auto learn feature automatically generates a set number of split points, ‘Semi-Auto’ allows the user load a .pds dataset and pre-select the fastest lap and ‘Manual’ allows the user to individually configure sectors within Toolbox analysis software based on a ‘hot lap’ for export as ‘QMode file’ to provide specific delta lap-time splits to improve lap-time performance, consistency in the endurance environment or as a driver training aid. The ICD is configured using ‘Toolset’ software means the user now only has one piece of software for dash, logging, control and Cosworth’s IPS32 power management module. Data is analysed in Toolbox, an industry standard analysis tool packed with features, and used across Cosworth’s logger and control system range.